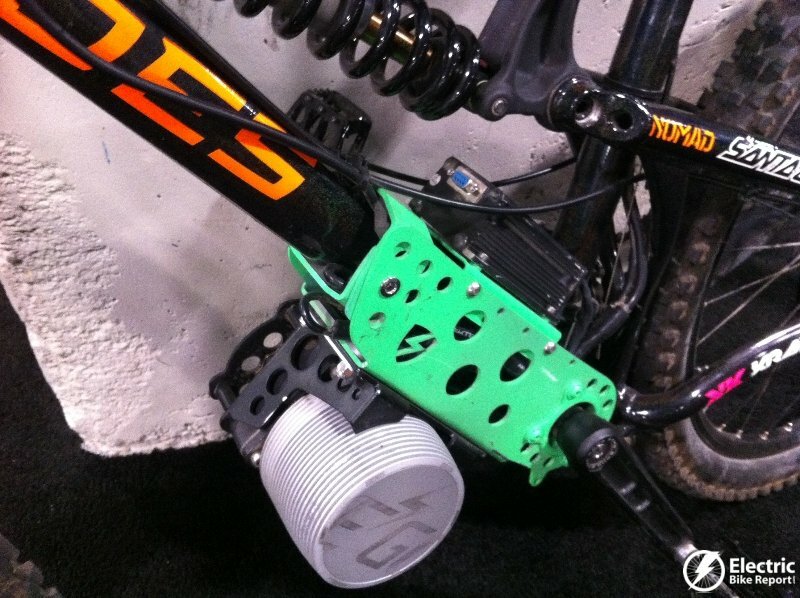 Ego Kits is an electric bike kit that you can add to a mountain bike. 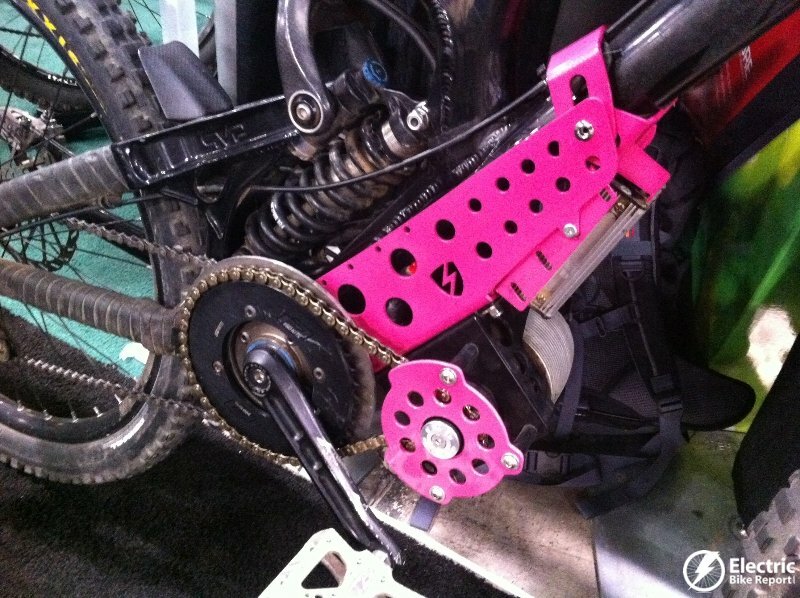 Generally these are for freeride or downhill style mountain bikes because those types of mountain bikes are heavier and they are hard to pedal up hill. Instead of shuttling to the top of a trail with a truck, the Ego Kits give you the freedom of an electric assisted ride to the top of the mountain. Sounds like more fun than driving! 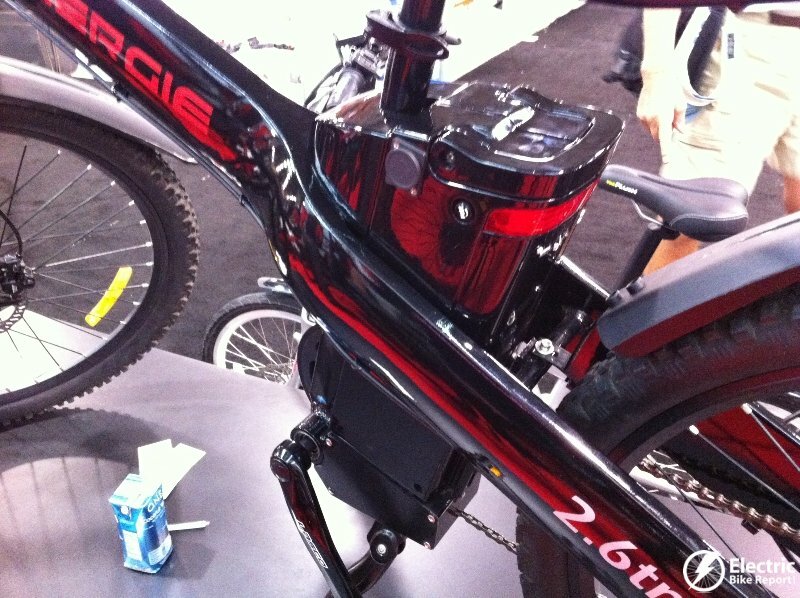 Ego Kits store the battery pack in the back pack or hydration pack that the rider wears. The very popular German Haibike electric mountain bikes were on display with their Bosch mid drive electric motor system. 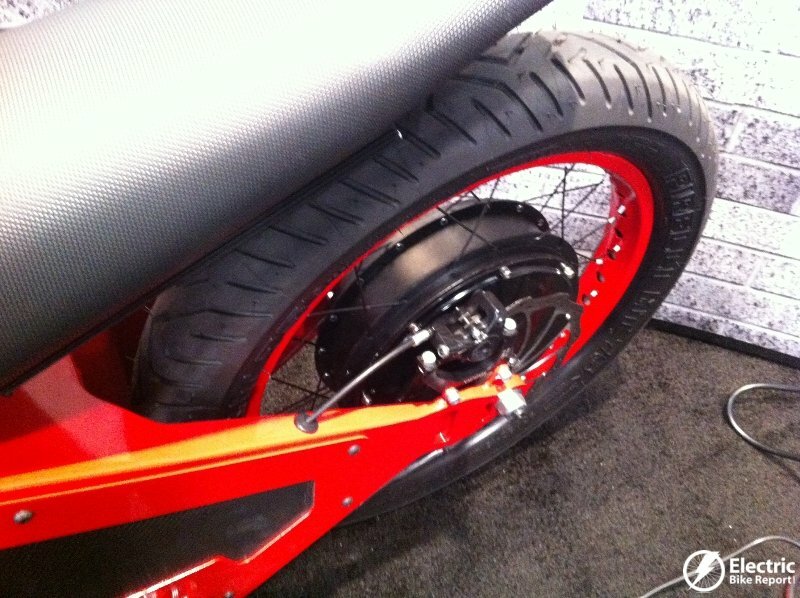 Currie Technologies is bringing these to the US market in 2014. 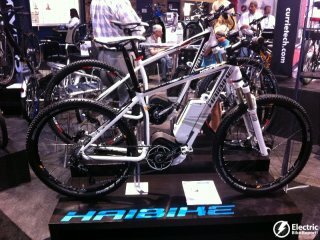 Here is more information on the Haibike electric mountain bikes. 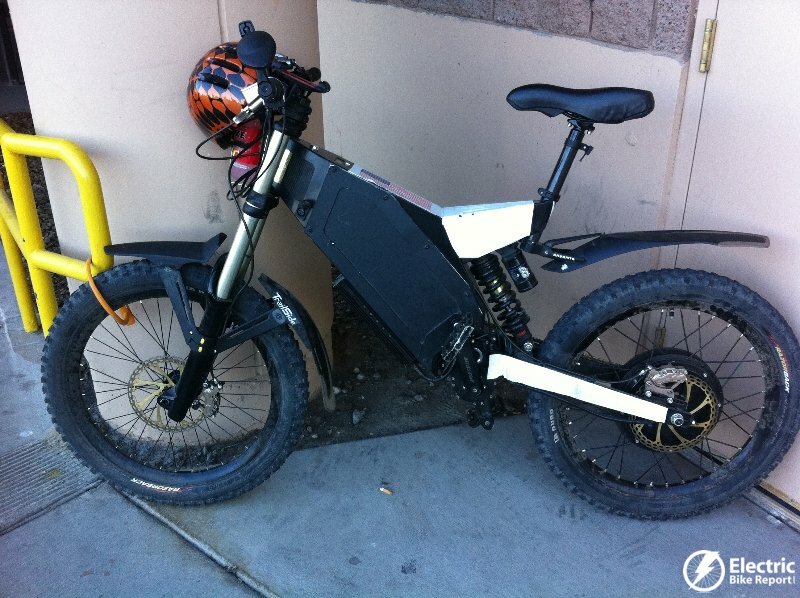 The Stealth Electric Bikes were on display and seen out on the e-bike test track. 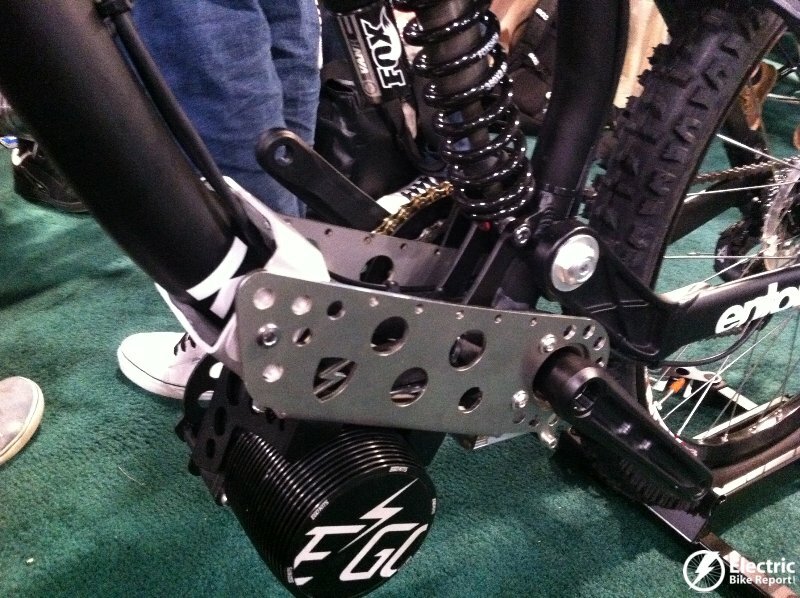 These are powerful, full suspension e-bikes that can really go the distance. 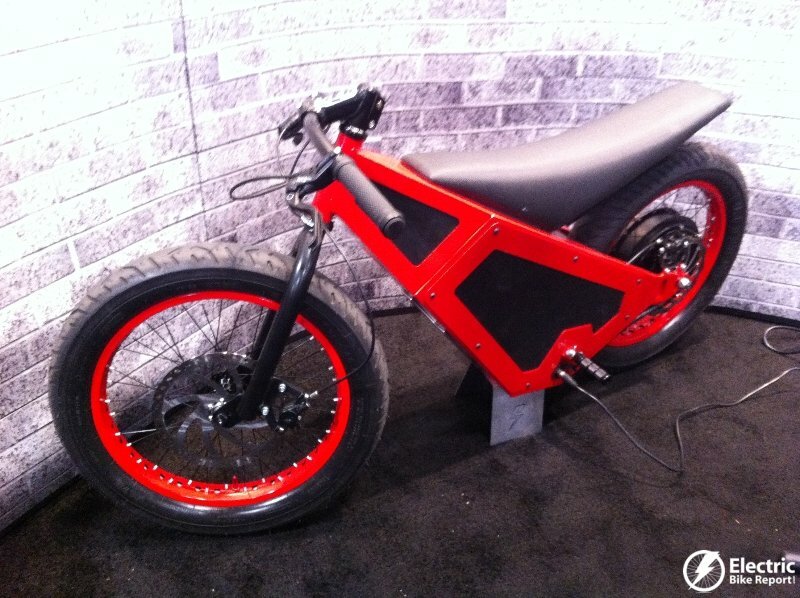 Check out the mini rocket e-bike in the pictures below! 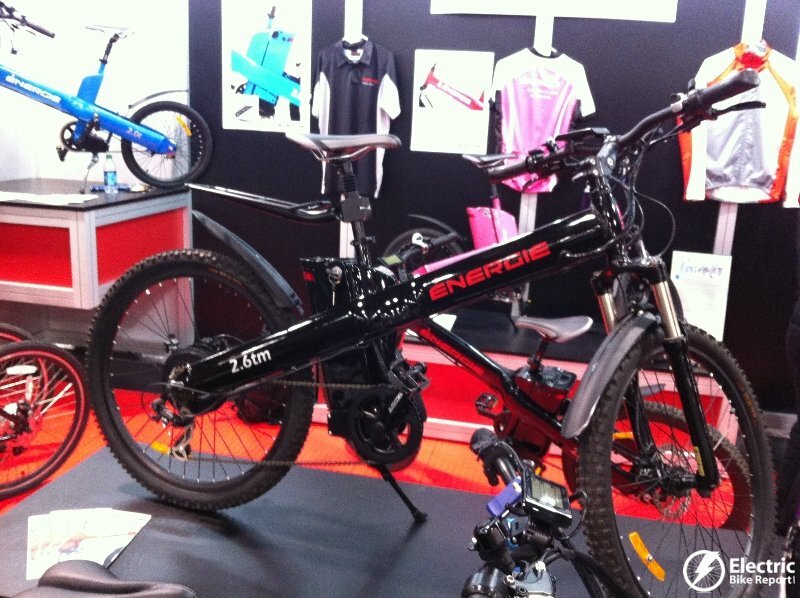 Energie Cycles launched their new electric bikes at Interbike. 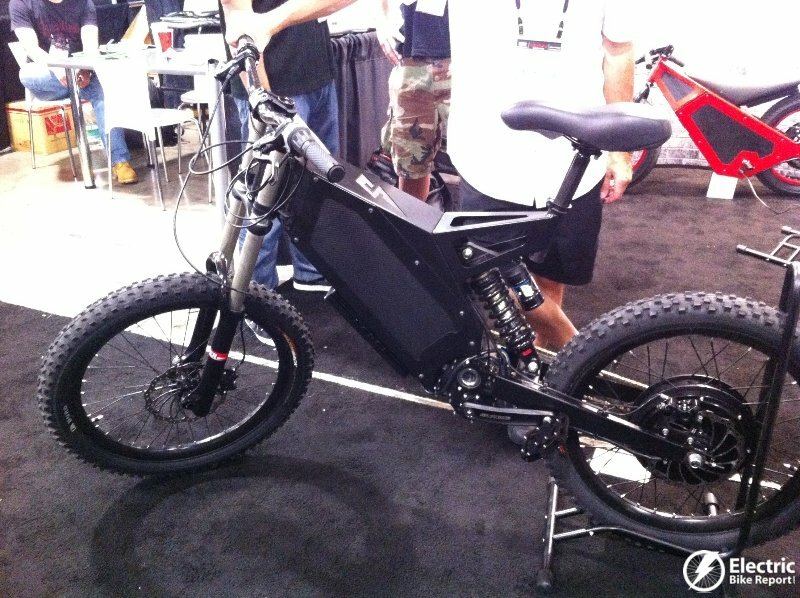 They have the 2.6tm electric mountain bike along with a number of other e-bikes. 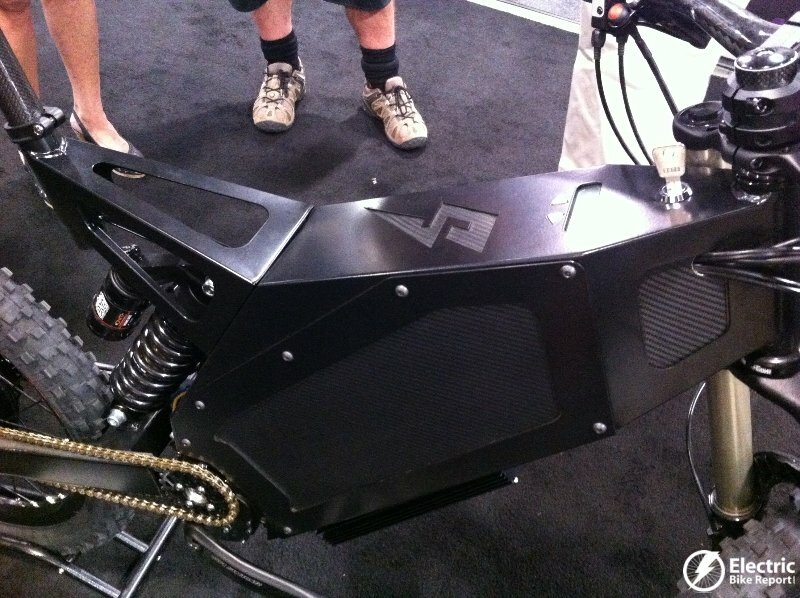 Energie Cycles is assembling their e-bikes in a facility not far from the Interbike convention center in Las Vegas. 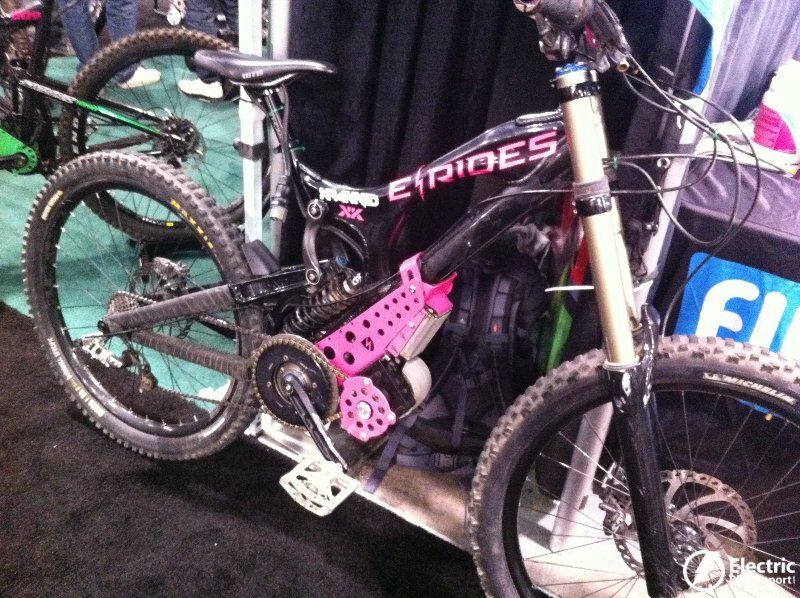 Here is more information about Energie Cycles and their electric bike that is dedicated to supporting breast cancer research. 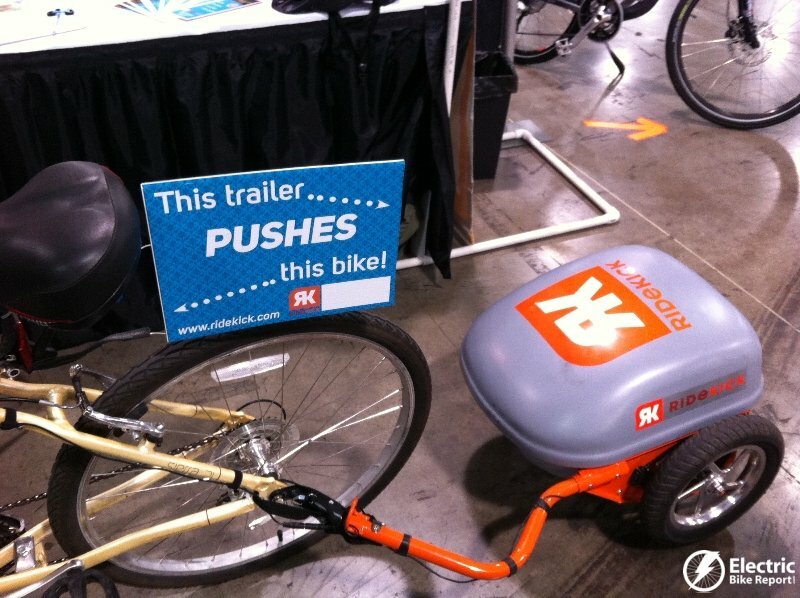 The Ridekick electric trailer is a trailer that pushes your conventional bike. They will be offering a lithium battery option that will make for a lighter trailer and provides more range compared to their lead acid battery option. 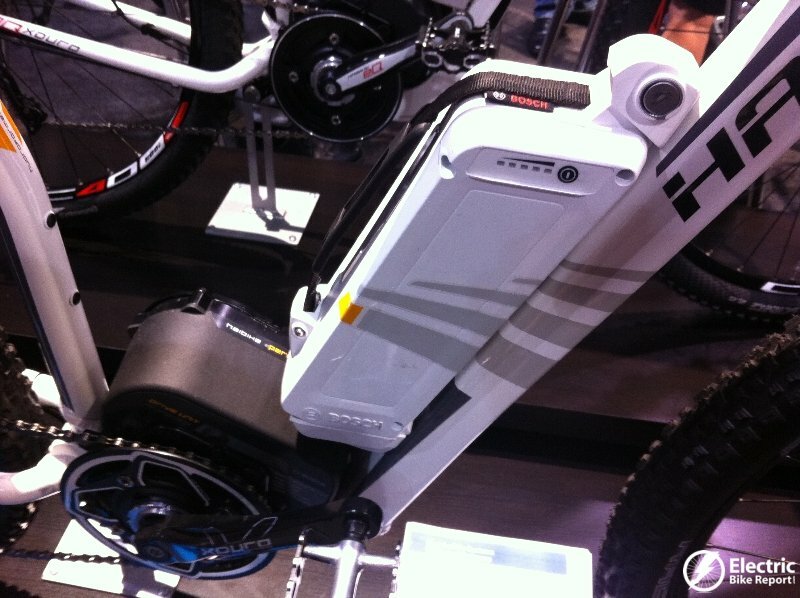 Find out more about what’s new with Ridekick and the distribution of their electric bike trailers in Australia. I like the sign they had on their bike trailer combo at the test track! 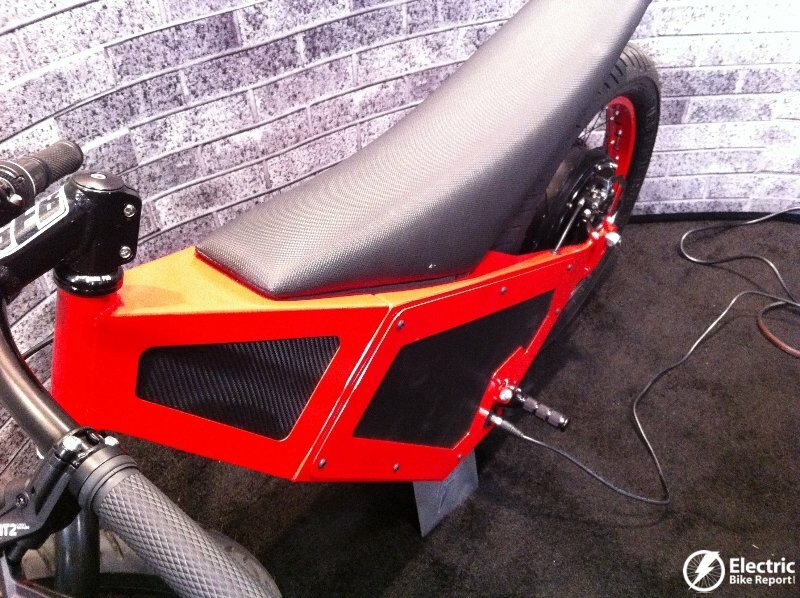 Here is a video with Chris from Hero Eco electric bikes showing off their A2B line. 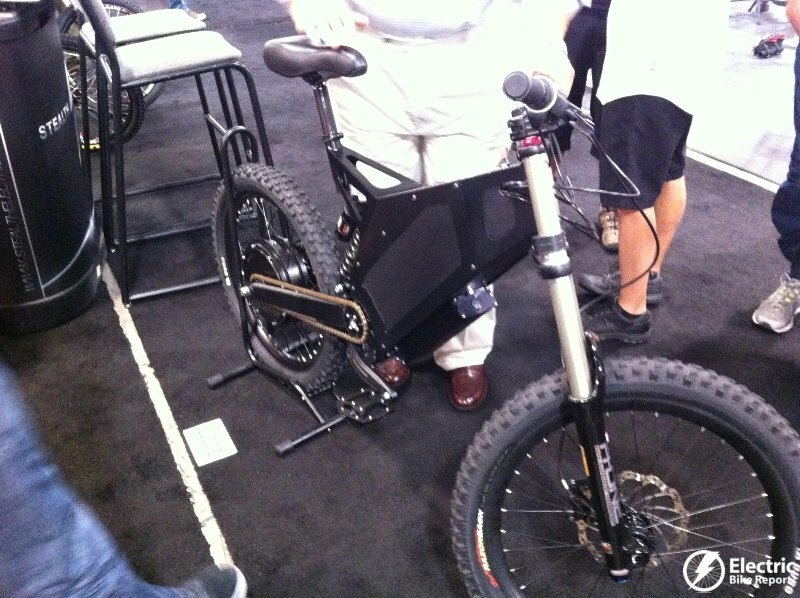 He covers the new A2B Edge folding electric bike, the new and improved A2B Metro, and the A2B Velociti. 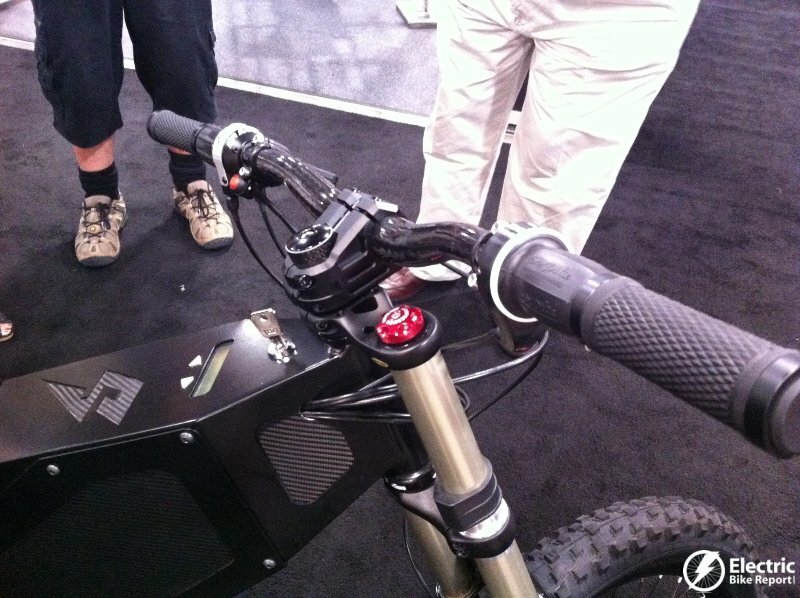 Checkout Part 3 of e-bike coverage at Interbike! I love them! 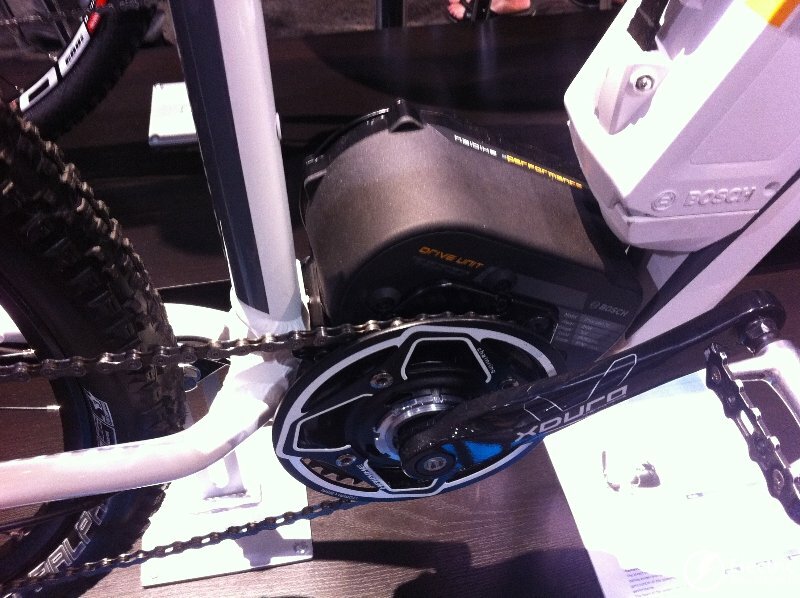 The pedal assist, the off road capabilities, the folders, the in the hub shifting, the geared motors, the hydraulic disk brakes, the new read out panels – but when are these bikes going to have belt drives? 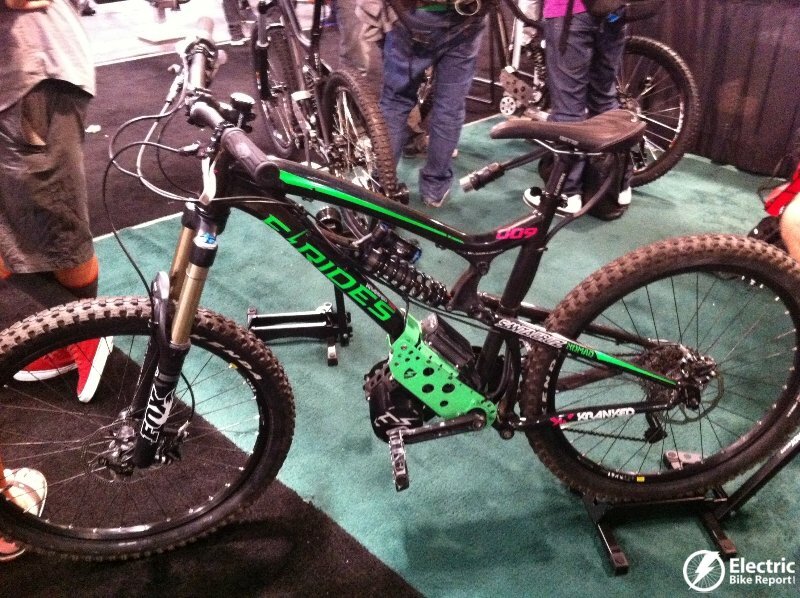 Lets get these bikes completely up to date! 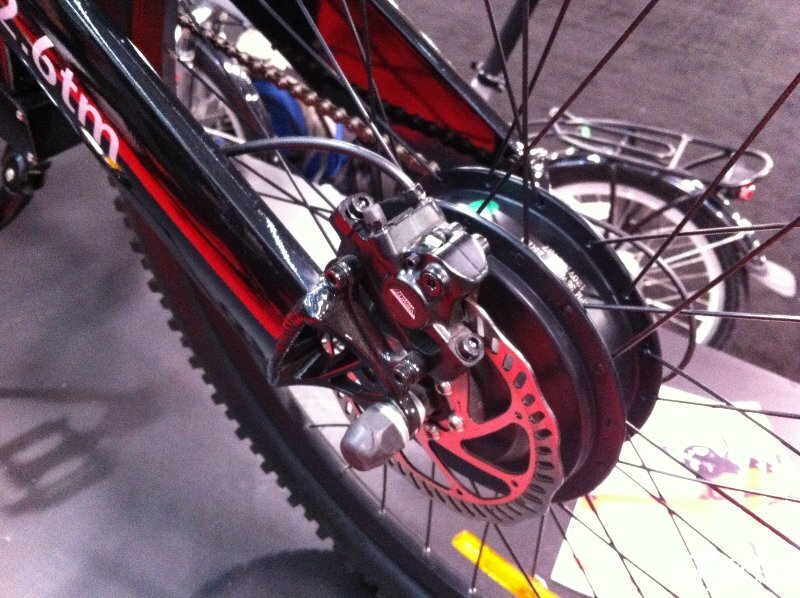 Hi Lynn, Grace and Smart electric bikes are using the Gates belt drive. We may see more companies going this way in the future. The Smart is made for Mercedes Benz by the Grace Company. 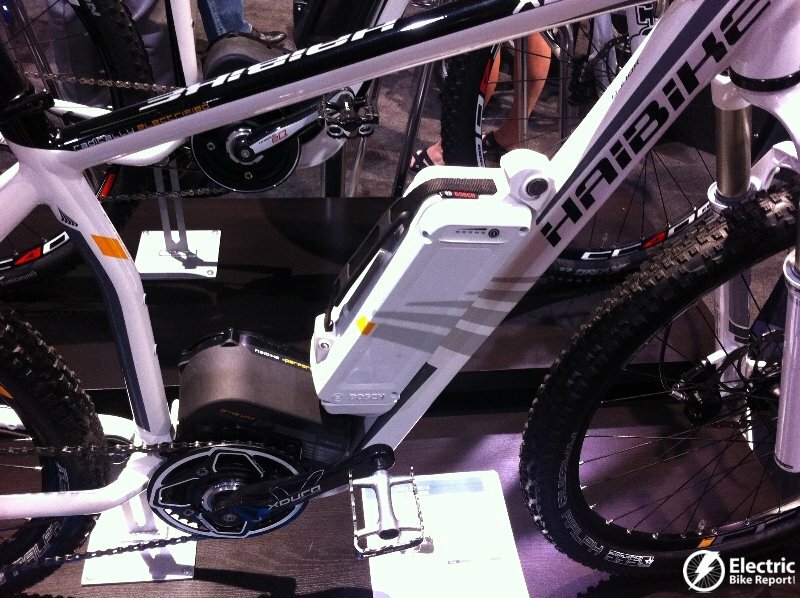 Both the Smart and Grace bikes are great looking but outrageously (Mercedes like) expensive. Guess I will have to wait for Toyota to build an electric bike:-) or assemble another front wheel conversion using a Trek Soho with a belt drive and all the other features needed to be up to date. Very much enjoy your newsletter reports. 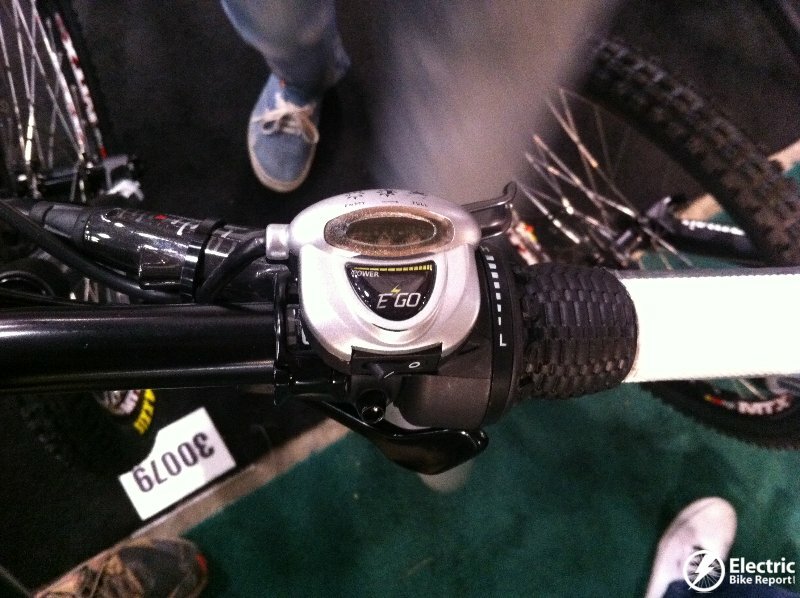 Got any video interview with the Bion X crew from Inter bike ??????? Hi Ken, Stay tuned for Part 3!